Croatia is fast becoming one of the best and most affordable travel spots in Europe. 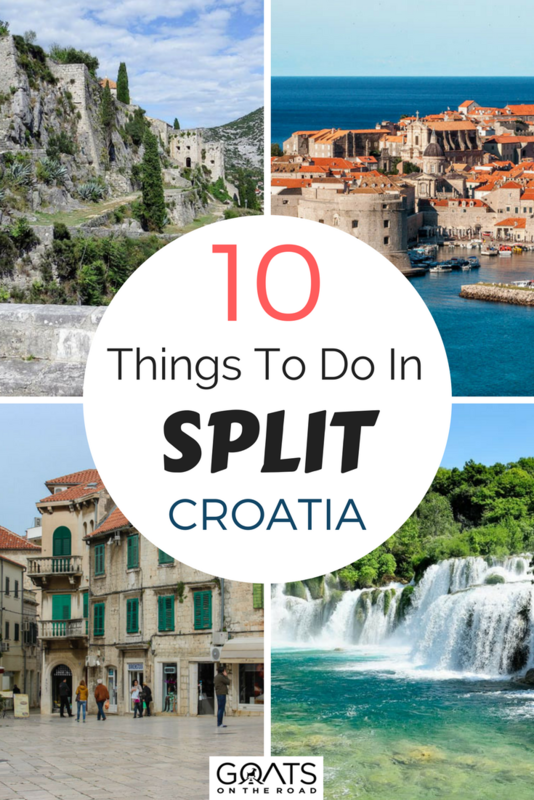 Split is a great base from which to explore different parts of the country. But with so many things to do in Split, it makes for a unique destination on its own merits. 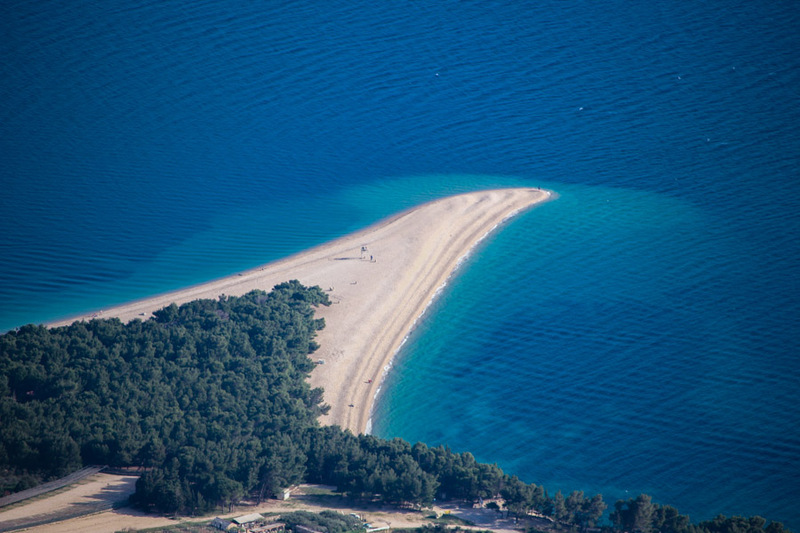 With its gorgeous beaches, lush landscape and picturesque spots, Croatia attracts different types of visitors. Traveler, beach-lover or culture-seeker, there are any number of the great things to do in Split that will appeal to everyone. The best things to do in Split range from exploring ancient palaces and fortresses, to soaking up the Croatian sun with a glass of wine in hand. And if you’re a fan of seafood, you will be eager to sample the fresh catch of the day on this part of the Dalmatian coast! 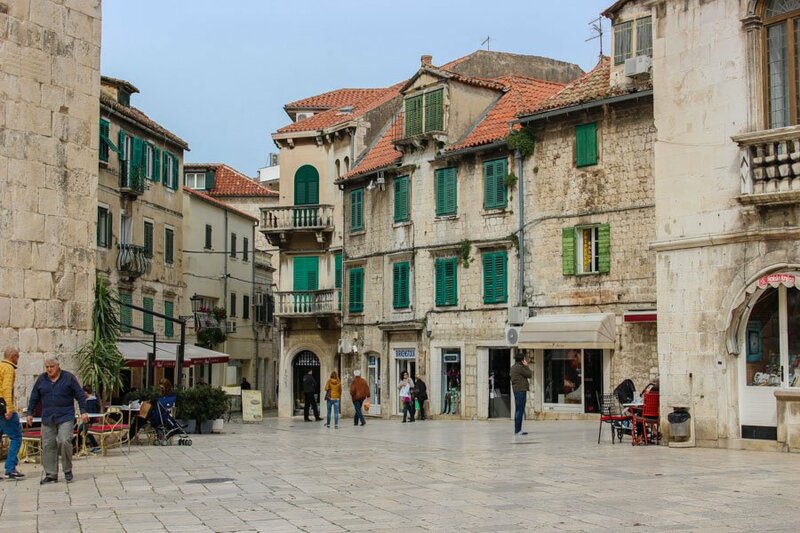 Split is also famous for being one of the sites where they filmed the popular TV series Game of Thrones. This has made its popularity as a travel destination soar in recent years. 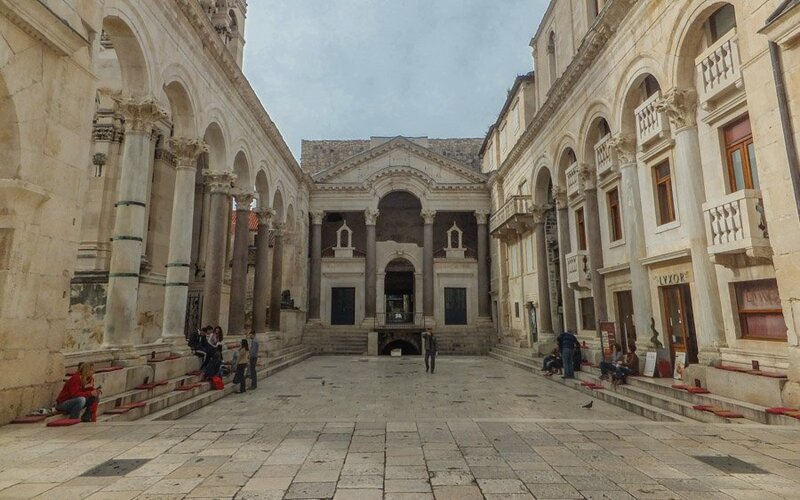 Visiting Diocletian’s Palace automatically makes in onto the list as one of the best things to do in Split. This is partly because you’ll struggle to avoid it! The palace is more like a fortress and houses a large part of Split’s old town. 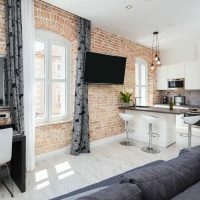 This means you will likely be walking down its narrow passageways and through its courtyards as you explore the old town of Split. The Roman Emperor Diocletian built the palace in the 4th century and decorated it with marble from Italy and sphinxes from Egypt. The palace walls each contain a gate named after a metal, gold, bronze, silver and iron. Not only is the palace the center of everyday life in Split, but it is also steeped in rich history and amazing architecture. This makes it a great place for wandering around, stopping perhaps for some coffee and gelato at one of the cafes within its ancient walls. Don’t forget about travel insurance! It’s the one thing you should always pack. 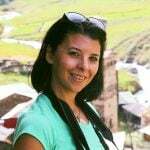 World Nomads is a trusted choice for travellers. Enter your details below for a free quote. Who is Gregory of Nin you might ask? 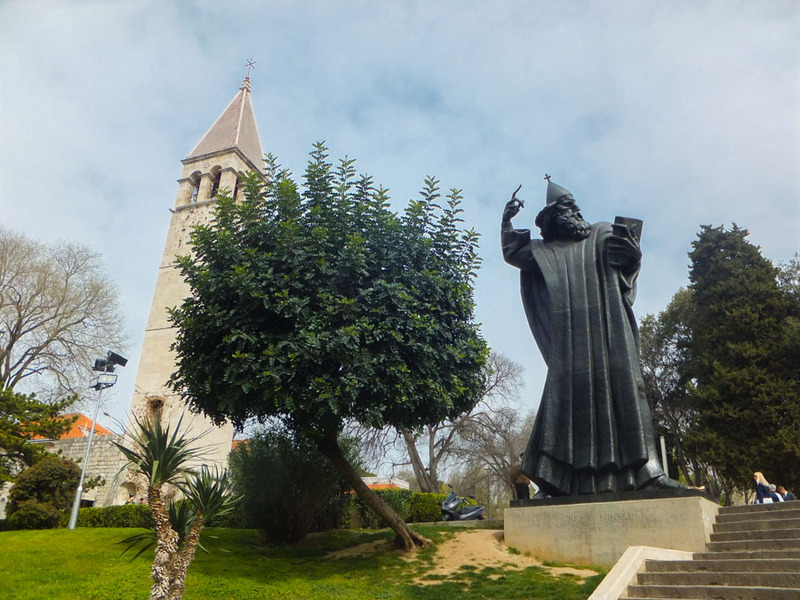 The medieval Croatian bishop fought for the right to use the Croatian language during mass (rather than Latin). Because of this the people of Croatia now consider him to be somewhat of a hero. The massive statue right outside the northern palace walls has an exposed extra-shiny large toe. You will quickly notice passers-by rubbing the toe hurriedly as they go about their duties. Apparently, rubbing the statue’s toe whilst reciting a wish will make it come true! No harm in trying one of the quirkiest things to do in Split, right? The morning fish market is one to the places to visit in Split in which you can feel the town’s vibrant energy throbbing through its core. If you’re looking for a local experience in Split, this is it! Fresh seafood is one of the best things to eat on the Dalmatian coast and you won’t find better than this! You might not recognize all of the fish on display at the market. Even so, don’t miss watching the fishmongers present their wares at the many stalls. If you have cooking facilities at your accommodation, buying fish here and cooking it yourself would make for a very affordable local meal. You will need to visit the market early in the morning though. The produce sells out very quickly and you might have a limited choice later in the day. Eating the amazing fish and seafood is undoubtedly one of the best things to do in Split for foodies. But you might be among those who have no desire to cook their own. Don’t worry, you still can sample it at the many fish restaurants lining the Split promenade or within the town. 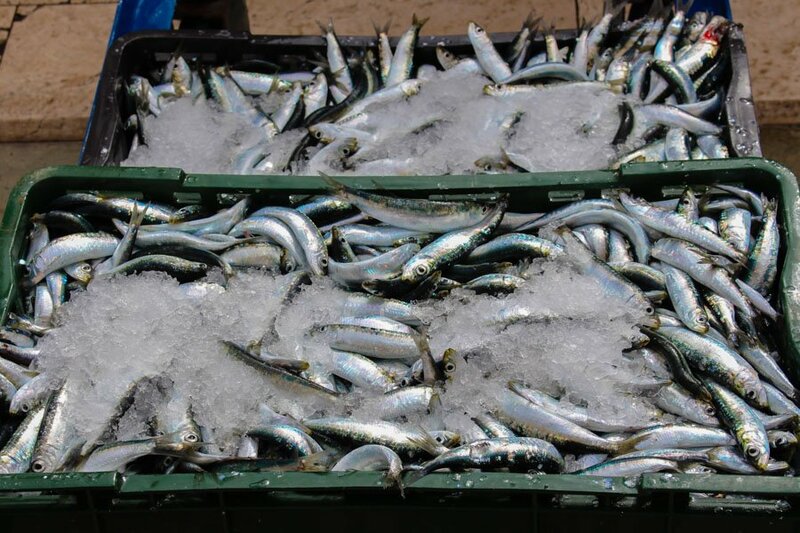 Most restaurants serve fresh fish and many of them specialize solely in seafood. There’s no shortage of restaurants around either making it the perfect place to indulge in Dalmatia’s seafood. You’ll find everything from huge steakfish and calamari stew, to fish soup and black cuttlefish risotto. The variety of fish-based dishes is endless and caters to every fish-lover’s palate. 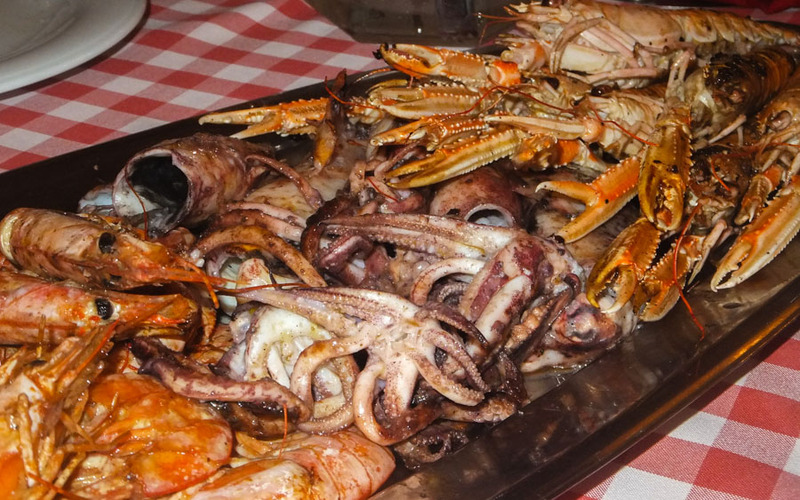 If however, you’re not a fan of seafood dishes, other traditional Croatian food is also widely available. Traditional dishes incorporate different types and cuts of meat, tons of fresh vegetables as well as some great locally produced olive oil. 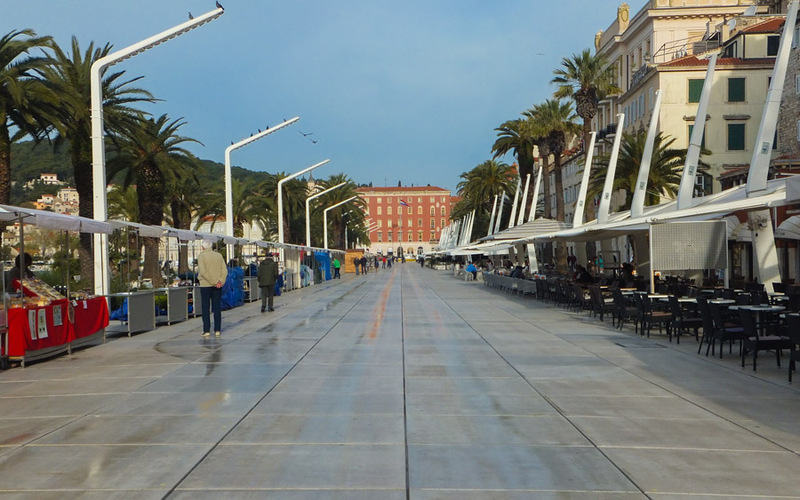 Split’s promenade, locally called The Riva, is a long, wide, walking space with Diocletian’s Palace to one side and the open sea to the other. It is one of the most important public spaces in town and people often use it as a meeting point. 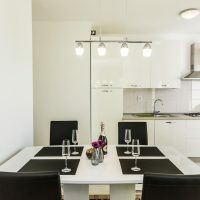 Cafes, restaurants and bakeries, line The Riva and are perfect for spending a relaxing time watching local life pass by. Relax during the day by sipping on espresso as you take a break from sightseeing, or on some summer evening taking in the cool seafront air. The Riva is one of the liveliest places to visit in Split especially since people sometimes use it as a location for cultural events and entertainment. Be sure to check out whether anything is happening there during your visit! 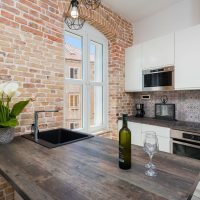 Here is a list of the top 3 rated properties in Split. Click on the links and check them out for yourself! 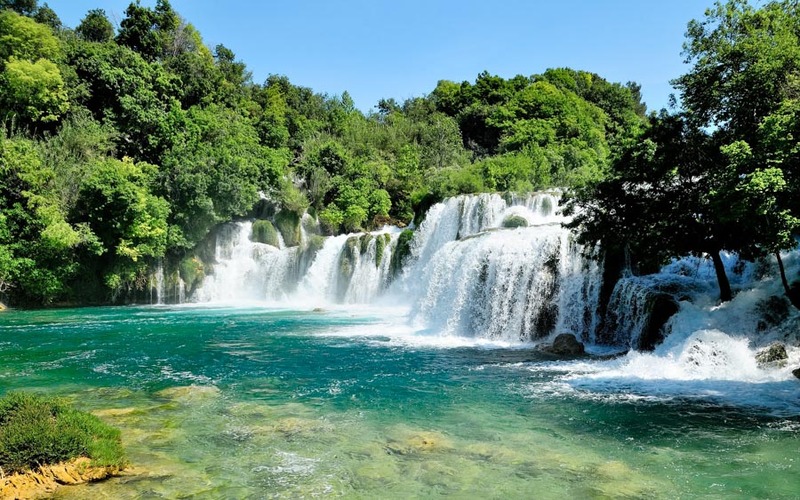 Krka National Park is undoubtedly one of the highlights of Croatia. The park can be visited from Split either by public bus, renting a car (which is quite affordable) or by joining one of the many organized tours. You’re allowed to go swimming inside Krka National Park by the waterfalls, but Plitivce Lakes National Park has banned it. Due to this, and also because of its proximity to Split, the park is very popular especially during the summer peak season, so be prepared for crowds at this time. The National Park is located along the Krka River and includes waterfalls, preserved eco-systems, and a very rich variety of flora and fauna. You can walk along the many footpaths in the park or even take a boat trip down the river. The fortress is located just above the little village of Klis, a few kilometers away from Split . It can be incorporated as part of a longer day trip from the city. The fortress, built into a ridge, not only provides a panoramic view over town, but is also one of the places to visit in Split if you are a Game of Thrones Fan. The setting doubles up as the City of Meereen in the series. The fortress is not very popular with tour groups and has not yet been hit by mass tourism, so it can be visited with relative ease and comfort. You might even be the only visitor if you visit outside of peak season. Split is home to several charter companies which provide sailing trips across the Dalmatian coast. Sailing programs may be full-day or spread out over several days. 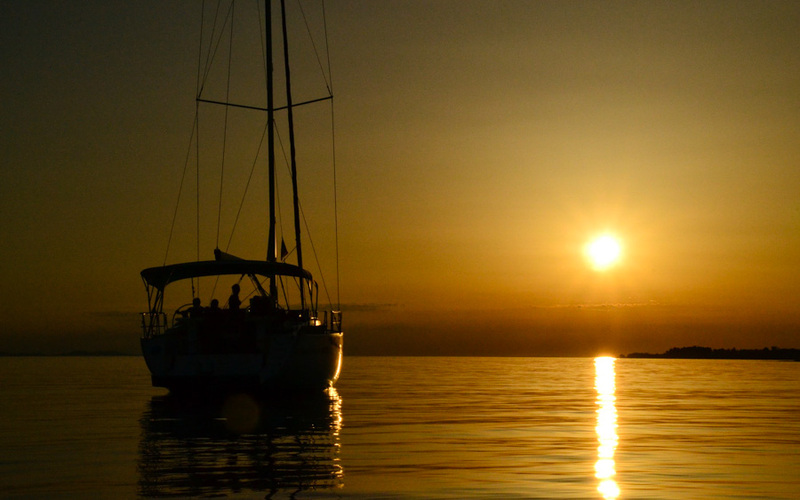 You can even join a boat going on a sunset sail, which is easily one of the most popular things to do in Split. Split is the natural town of choice from which to start off or end your sailing trip in Croatia. Especially since it is right in the center of the Dalmatian coast with many islands being located in relative proximity to it. 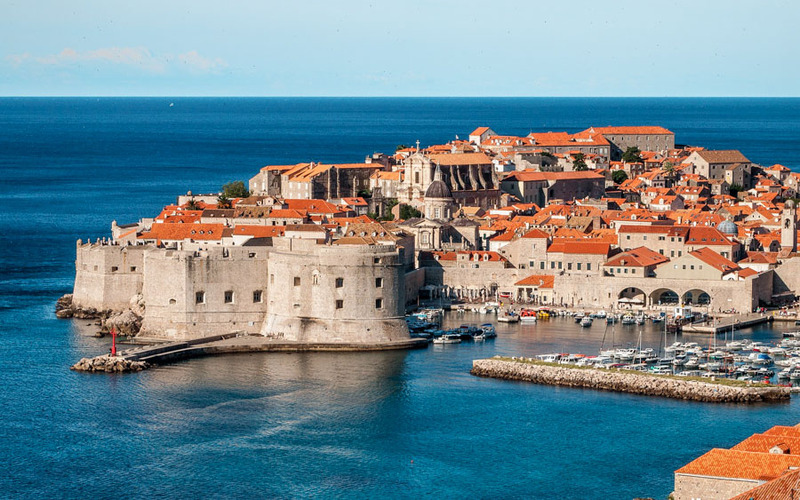 The pretty, fortified town of Dubrovnik is probably Croatia’s most popular destination. It’s become even more so in recent years, since this is where many important scenes in Game of Thrones were filmed. 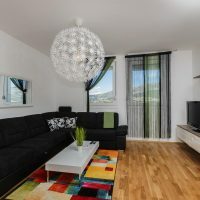 Accommodation in and around Dubrovnik can set you back quite a few Kuna, so staying in Split and taking a day trip to Dubrovnik is a budget-friendly alternative to staying within the Dubrovnik area. 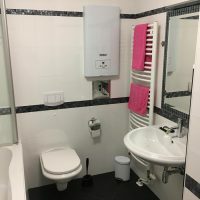 A day trip can be organised via public transport or with a tour agency, both of which include long travel times, so starting off early is a must. 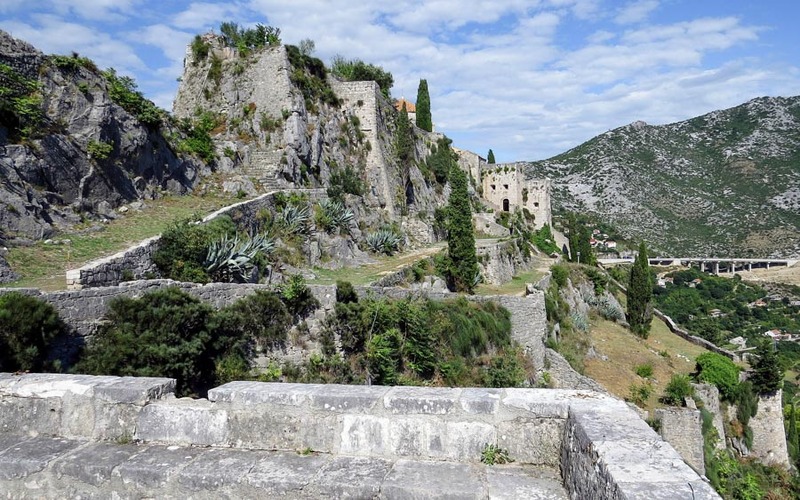 The route to Dubrovnik typically passes through Bosnia so be sure to take your passport along. There’s no need to go on a sailing trip to visit the islands off Split’s coast. Island hopping is possible by taking public ferries from one island to another and is a lot cheaper than going via organised sailing charter, although the experience is of course very different. 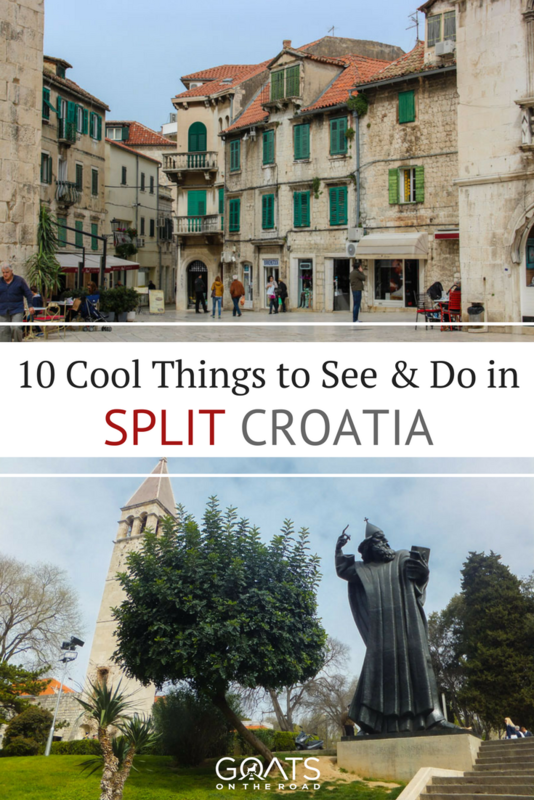 Split is the gateway to visiting the nearby islands of Brac, Solta, Hvar, Korcula and Vis. Most of the ferries that operate the route also transport vehicles. 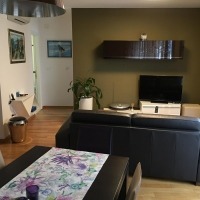 Renting a car in Split and using it to tour the islands is very convenient, especially in off-peak season during which time the roads are sleepier when compared to the height of summer. 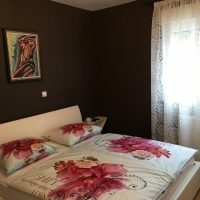 Visiting the beautiful islands of Brac and Hvar should be on your list of things to do in Split in order to experience a more laid-back lifestyle and attitude to that found in the more lively town of Split, which at times is buzzing with energy. Read more about Brac. 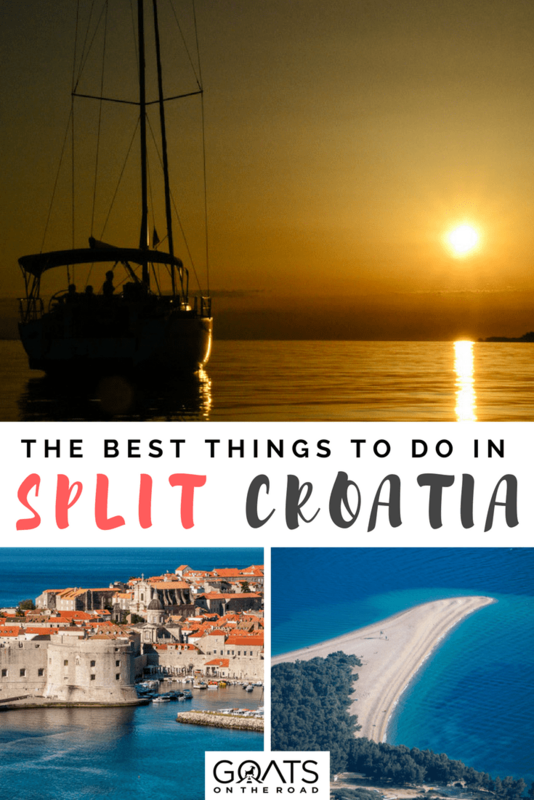 If you’re heading to Croatia, consider using Split as your base from which to visit the rest of the country. 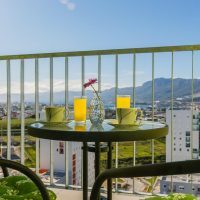 Here you can be sure of making the most out of your stay in a town packed with cultural activities, beach opportunities, gastronomic experiences and even nightlife. There’s something for everyone is Split. Check out this quick video and get inspired to visit Split, Croatia! Amazing place and amazing post. nicely described.